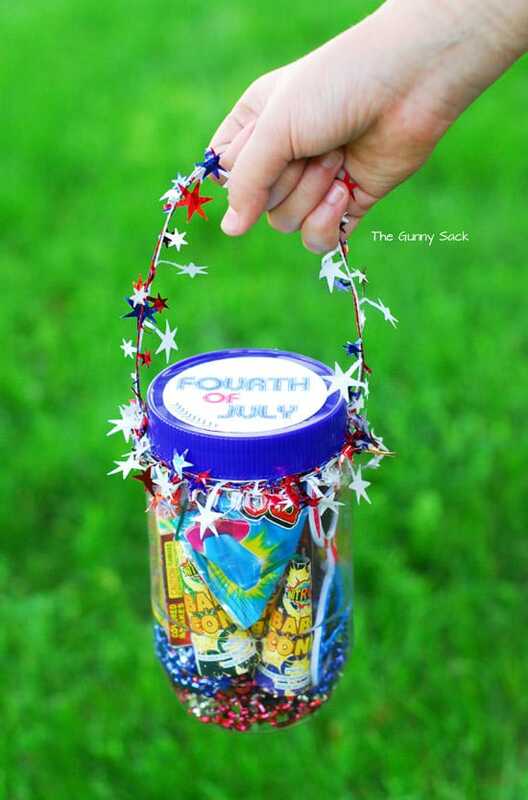 Red, white and blue Fourth of July crafts are so much fun! 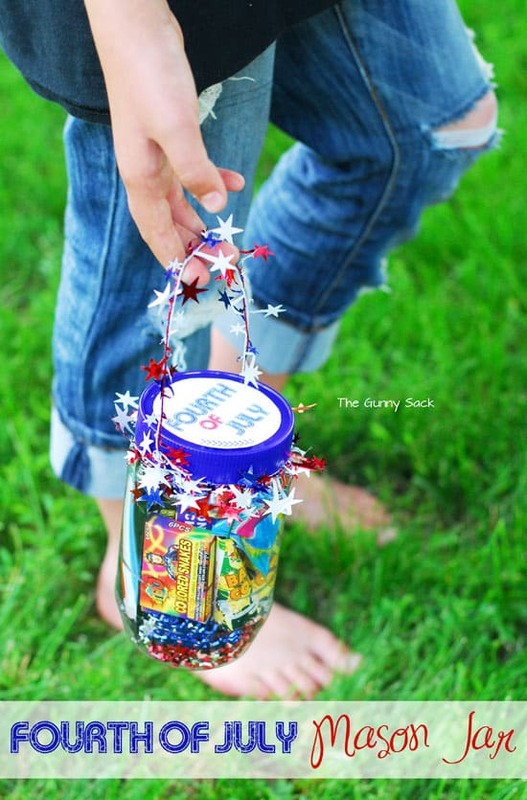 Since I love mason jar crafts, I created a 4th of July gift in a jar for kids! I can’t believe Independence Day is in two weeks! 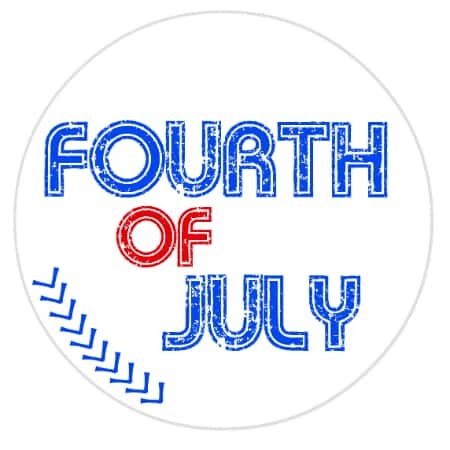 It feels like the kids just got out of school and for some reason the 4th of July feels like it is the midpoint of the summer but that isn’t true since tomorrow is the first day of summer. So far, we’ve been really enjoying summer vacation! We’ve been to the lake to swim, we’ve been to several parks and have even roasted s’mores! I can’t wait to share more about the fun we’ve been having and some of the summer treats we’ve been enjoying. I’ve been taking lots of pictures but finding time to sit down at the computer is hard! I want to start off with a fun idea for Independence Day! 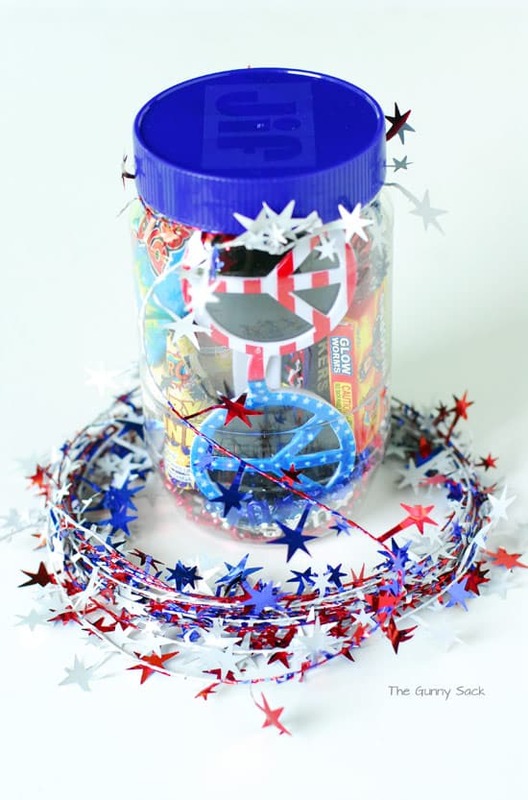 This 4th of July Mason Jar can be given as a gift to the kids in your life or if can be a fun craft that you assemble together. Independence Day is one of those holidays that it is so much for to “dress up” for. There are lots of sparkles and red, white and blue accessories that can be worn. 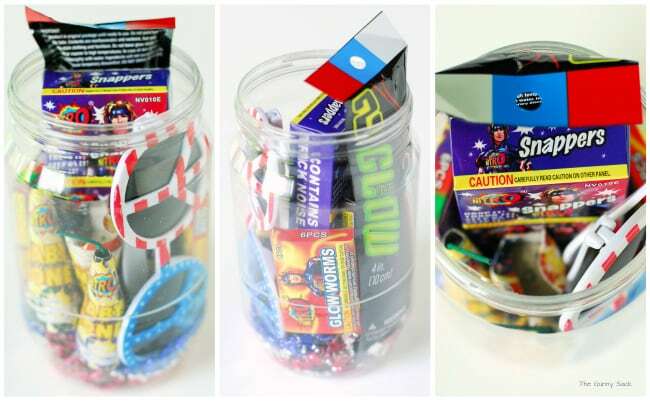 With that in mind, I thought my tween would love to have this themed jar full of products for that one day but the jar could be customized for boys or for younger kids. Since these things will only be used for one day, I didn’t want to spend a lot of money on them so I went to the dollar store to buy the goodies. I filled the jar with all of the supplies. Then, I wrapped the garland around the top of the jar and made a handle using the garland. Then it is ready to go! My tween is so excited to use the items in the jar. 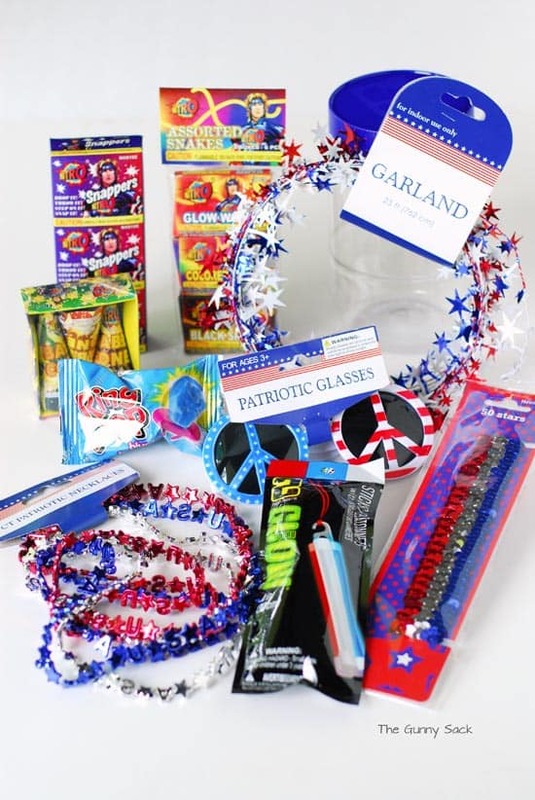 She wants to make one of these for her friends to they can all have the same accessories on Independence Day! This is super fun! My kids would be SO excited!!!! This is such a fun idea Tonia – love it! I love this idea!! I will totally have to make these! I love all your filled jars but this is definitely one of my favorites! So festive and fun. I just pinned it. 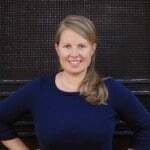 Such a great idea Tonia! This is so fun!! You always create the funnest things! Thanks Carla! They would love it! So many awesome pics. You have out done yourself Tonia. Thank you for sharing. Adorable 4th of July gift! So clever!